In the second cantica of the Divine Comedy written by Italian Poet Dante Alighieri, the author describes in great detail a trip through the seven terraces of Purgatory (Purgatorio). Mid way through the 5th Terrace the poem's hero finds himself surrounded by the souls of the covetous, folks who have sinned through embracing things in an unhealthy way. Here, owners of Porsches, BMWs, Alfas who have neglected their families and friends, are stuck in slushbox equipped Plymouth Reliants on freeway on-ramps. The on-ramps are equipped with traffic metering systems that seem to be functioning, but nobody ever merges onto the freeway. This is one of those rides. 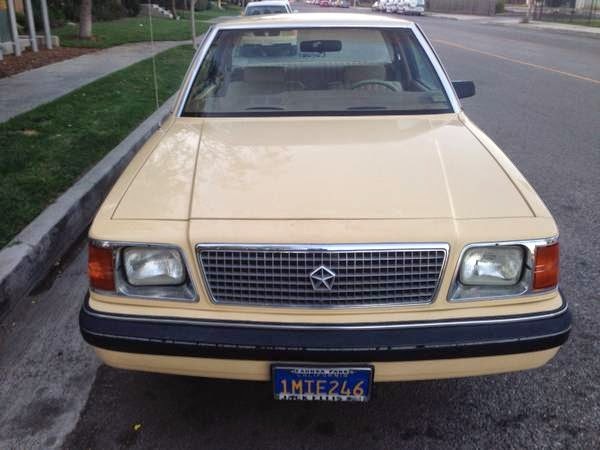 Find this 1985 Plymouth Reliant in impeccable shape offered for $1,499 in Woodland Hills, CA via craigslist. The various circles of hell will be filled with things like the first generation Toyota Prius with dead batteries, a 2 cylinder VW Beetle with windows that don't roll down, and being stuck on the city bus...well..forever. But purgatory, it will be filled with perfectly clean, low mile examples of the most horrible vehicles and you will be forced to navigate LA traffic until your sins have been cleansed. It's gonna be a great time. The Reliant was the first of the so called K-cars to be built by Chrysler and was followed soon after by the Dodge Aries and Chrysler Lebaron. This K is powered by a 2.2 liter inline-4 cylinder engine that puts out 94 horsepower and delivers 0-60 mph in a leisurely 13 seconds or so with the automatic transmission. If you were planning on spending a few years in gridlock, a super clean Reliant really wouldn't be the most horrible place to do your time. At least it has nice comfy looking sofas. 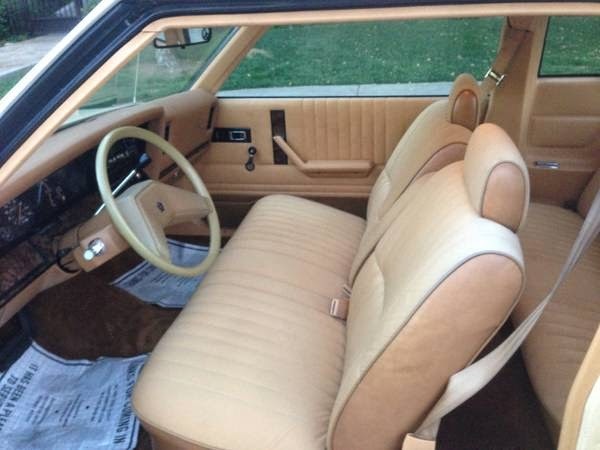 I got a hand-me-down one of these in high school, but it was a four-on-the-floor manual with a bench seat! I thought that it was pretty cool to floor it then drop the clutch and lay some rubber. Those were the days! Reminds me of Mr. Rooney's car that got towed away (with his keys in the door lock) at the end of Ferris Bueller's Day Off. I had this cars identical twin but with slightly lower mileage. It was bought new by an elderly fellow and garaged and pampered from new right until he lost his license in 02. He tried to sell it for a year and never could get a bite. Moving to a retirement home forced a scrap value sale and I got the call. I played $125 for the car and drove it home. I tried to sell it for a month with not one interested buyer. I decided it would make for a bit of off road fun and took off from the bottom of the driveway up into the woods behind my house. The first fallen tree crushed the exhaust flat and killed the car. Worst 10 minutes of fun ever. I pulled the still minty fresh k car out of the woods and scrapped it the next morning. 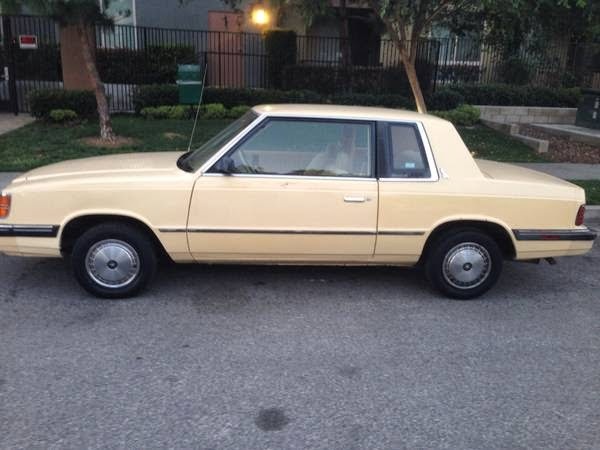 My first car was also a K-car hand-me-down. In 1987, my mother and aunt went to the dealer and bought identical Dodge Aries, my aunt in beige like this one, and my mom in light metallic blue. 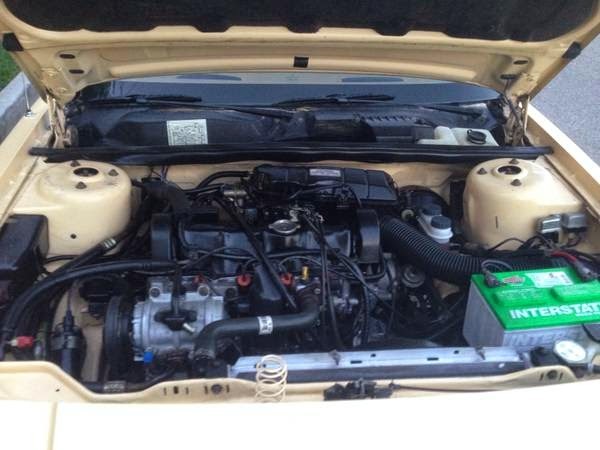 It was a manual with bucket seats. I learned to drive in that car and piled on many more miles when it became mine in 1992. Fond memories, although I know it was not an especially good car. Worst front seat ever hated driving these @ work always looked for something else in the fleet. Had one of these as a rental once back in the late 80's. It was actually quite fun to drive, I enjoyed it a lot. Don't knock it til you try it. To the writer of this article, I saved that car from the junkyard last year, and it used to be in the Chrysler K-Car Club, at www.chryslerkcar.com. It is a classic car, and should be respected as such. It sold this morning by the way. I am thrilled to hear that this car survived the junkyard - any more pictures that you have of that car before and after its restoration, please send them to tips@dailyturismo.com - it would make a great story. I hope you understand that just about everything said on this site is done so with a tongue-in-cheek attitude (my tongue, my cheek...for clarification) and any car we feature was done because it meets two qualifications. 1) Something we'd drive if given the chance. 2) A good deal. Thanks and feel free to send us links to nicely restored K-cars for sale. Worst front seat ever hated driving these work always looked for something else in the fleet. The commitment of the industry is evidently manifested in the moulding and designing of every part and accessory stamped with the smartness of machines of nissan titan interior mods. What Was The Last Car To Have A 4-Speed Manual?